Glen Waverley is really turning into a hub for good food and good fun. Everyone – foodies and non-foodies alike – are flocking here to eat, have fun and buy houses. This of course is driving up property prices, making it near impossible for people like myself to afford a place, and making parking even more impossible around peak dining hours. Many restaurants along Kingsway are open until 2-3am to cater for late eaters and there’s never a time when people couldn’t be seen on the street. It’s hard to believe just how much this place has changed in the last 10 years and it’s still evolving with new apartments being built right next to the station and the multi-level car park just about complete. The restaurants are beginning to have more of an Asian influence as well. More and more Asian restaurants are opening up one after another. Not that I don’t like it, I love my Asian food, be it Malaysian, Vietnamese, Korean or Cantonese. One of the most recent openings is Straits of Malacca and even before I tried it, they’ve taken the shop next to them and doubled the number of seats. This shows just how popular they are! Straits of Malacca serves Malaysian food and specialises in Nyonya style dishes. On the first visit, we tried our usual chicken laksa. It came in a HUGE bowl, the biggest bowl I’ve ever seen laksa being served in. It was a very big serving as well and we were almost going to share just the one dish. The laksa was good. Although a tiny bit on the salty side, it was tasty and full of all the ingredients a good laksa should have. Still not as good as Laksa King of course, but it was still quite nice. This dish only cost us only around $10. 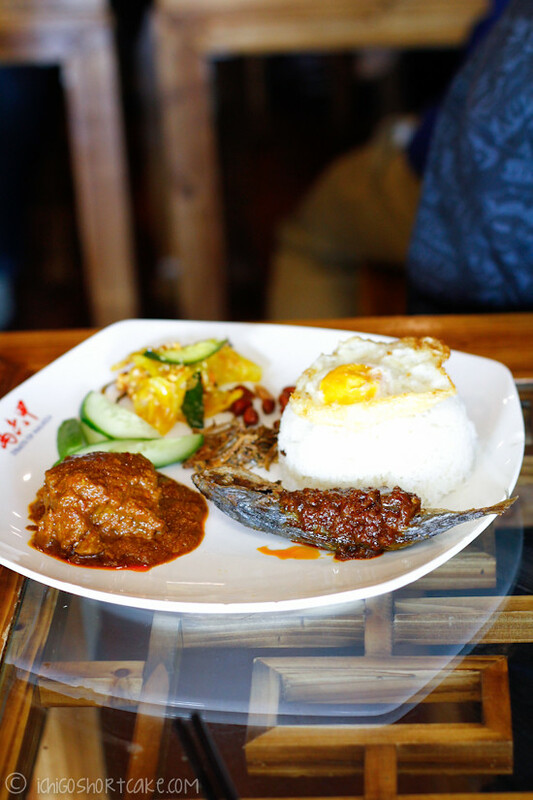 Since we were not completely full, we decided to order another dish – nasi lemak. It was also a very big dish and we ended up taking most of it away. We both liked the textures and flavours of this dish, although I do think I’ve had better elsewhere. The rice could have been a bit more coconutty and the beef rendan wasn’t as flavourful as some places. For drinks, we ordered a barley drink which was as expected. When I had chicken pox last year, Yuye went out and bought me barley drinks to sooth my itchy body and I’ve been in love with it ever since so it was a welcomed drink. We also ordered an assam boi drink which is lime flavoured drink with what I believe was assam inside. It was such a strange taste I wasn’t sure if I liked it. It isn’t the restaurant’s fault of course, I just ordered a drink that I’ve never had before. It was a a mix of sour and salty. Very interesting. Our second visit was also a good experience. I decided to order the special Nyonya fish with rice ($12.80) which came with a whole deep fried fish with the fillets removed for easier consumption. I love deep fried fish because it’s so crunchy and tasty. The sweet and sour taste of the sauce is quite addictive, although I must say it’s slightly on the heavy side so I couldn’t eat too much of it at once. 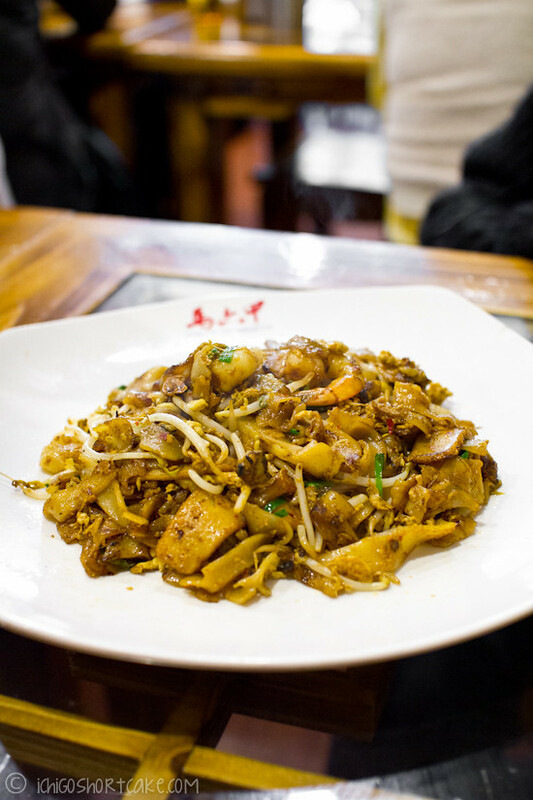 Yuye ordered char kuei teow ($9.80) which was good, although I’ve had better elsewhere. It’s always a bit too oily of a dish for me though Yuye really likes it. Some people have complained about the wait in line during peak dining hours which we didn’t experience, but it shouldn’t be a problem anymore since they took the shop next door and turned it into more tables for Straits of Malacca customers. The only thing I was disappointed with was the lack of desserts on both of our visits. They actually have a separate dessert menu which seems to have many delicious choices but all were unavailable apart from ice kachang and one other dish. I will see if this changes in future visits. 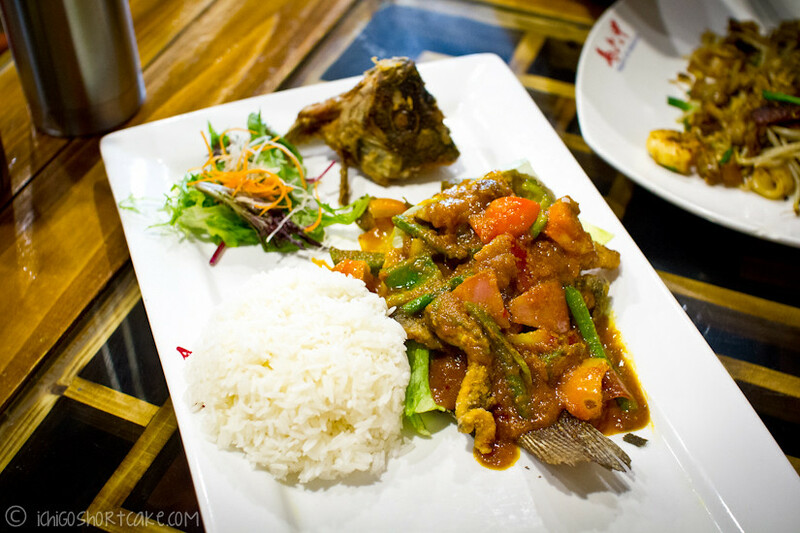 Straits of Malacca is cheap, generous with servings and tasty. Hopefully this restaurant will survive the test of time and live up to my expectations in future visits as well. 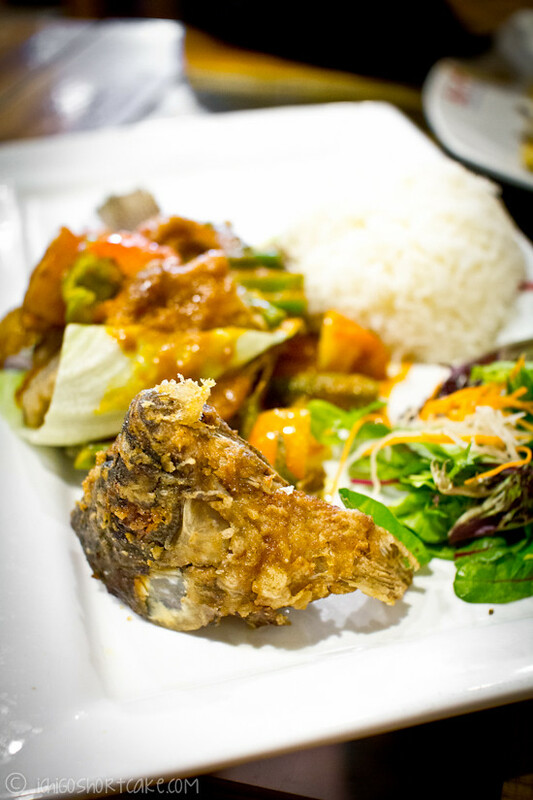 Question time: What is your favourite Malaysian dish and have you ever tried Assam boi? Do you like it? 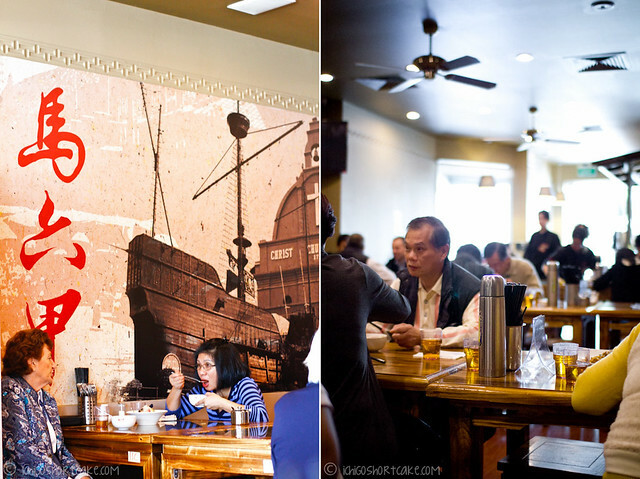 Kingsway Seafood Restaurant, Glen Waverley – getting ready for CNY! I love nonya cooking, and laksa is always a winner for me, yummo! This all looks so delicious! I’ve never had any of these dishes but now I really want to! 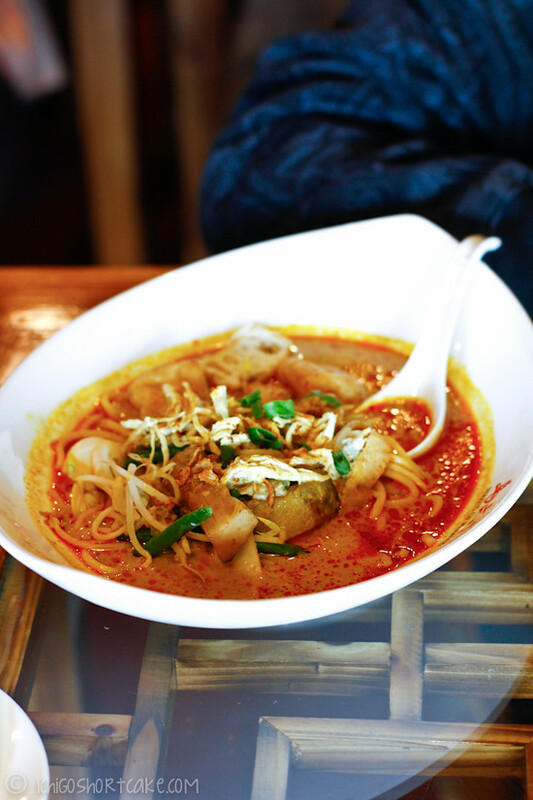 That laksa looks great! 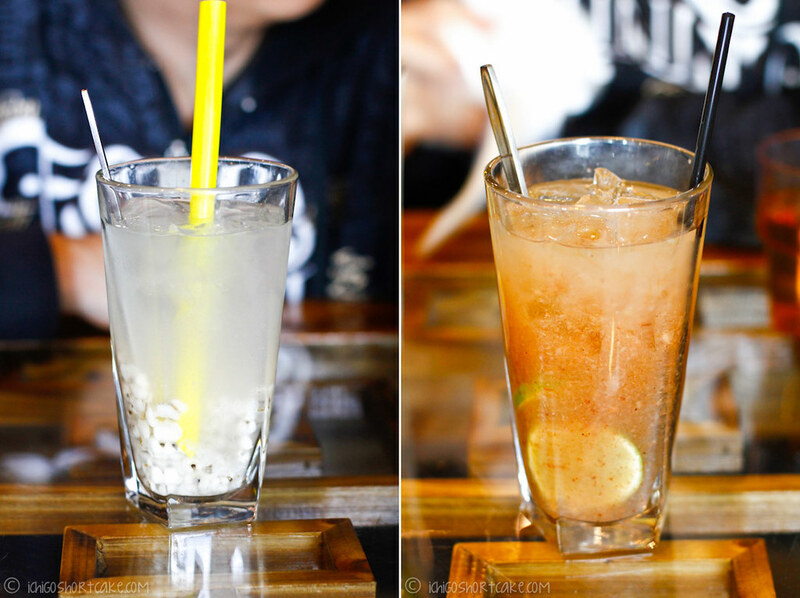 I really don’t drink anything other than water when I have food, but if it’s hot I might indulge in something icy, like the four colour drinks in vietnamese restaurants. I love teh tarik though! When I was in Malaysia and Singapore, that was pretty much all I drank, plus this bright pink drink called bandung, which tasted like musk sticks. Yeah I’m sort of like you, I’d drink things if the food is hot or if the weather is hot. I love teh tarik! But for some reason I don’t order it that much. 😛 The bandung sounds very fascinating!